This holiday season, give the gift of good food while supporting local farmers and food crafters. As the days turn cold and rainy, farmers market vendors count on loyal customers like you to help sustain their businesses year-round. At the Ferry Plaza Farmers Market, you’ll find the makings for wholesome winter feasts, along with unique gifts that nourish the body, the earth, and the local community. 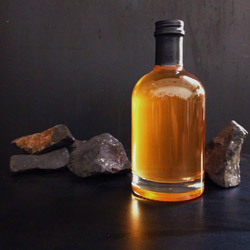 We’ve collected some gift and menu ideas, shopping tips, and recipes to inspire you. Thank you for supporting the Ferry Plaza Farmers Market season after season. Happy holidays from CUESA! The Ferry Plaza Farmers Market will be closed for Christmas and New Year’s Day on Thursday, December 25, and Thursday, January 1. We’ll be on our regular market schedule for the rest of the season (Saturday from 8 am to 2 pm; Tuesday and Thursday from 10 am to 2 pm). We’ve compiled some gift ideas from our local farmers and food crafters, perfect for goodie baskets, stocking stuffers, and host or hostess gifts. We also have Ferry Plaza Farmers Market canvas bags, aprons, and posters for purchase at the CUESA Info Booth every Saturday, Tuesday, and Thursday. For that special someone who is passionate about good food but doesn’t want more stuff, consider making a donation to CUESA on their behalf to help cultivate a healthy food system. 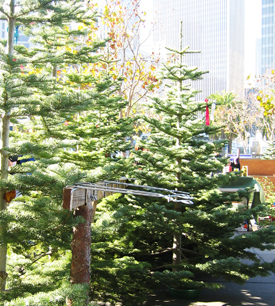 Double K Christmas Tree Farm will be at the market on December 6 with their award-winning, sustainably grown trees. To reserve a tree, place your order today. Deck the halls with locally and sustainably grown holiday wreaths, garlands, and bouquets from Cypress Flower Farm, Devoto Gardens, Four Sisters Farm, and Thomas Farm. Keep your eyes peeled for seasonal offerings such as Christmas hams and prime rib roasts from 4505 Meats, Christmas cake from June Taylor Company, vegan Yuba Holiday Roast from Hodo Soy Beanery, candied nuts from G.L. Alfieri, and pies and sweet treats from Three Babes Bakeshop, Tout Sweet Pâtisserie, and pop-up vendors Blue Chair Fruit Company, and Batter Bakery. Look for Hannukah specials from Wise Sons Jewish Delicatessen. Kosher honey is available from Marshall’s Farm Natural Honey. 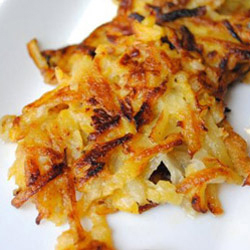 For latkes, stock up on potatoes at Little Organic Farm and apple sauce at Hidden Star Orchards. Persimmons, apples, citrus, dried fruit, nuts, and artisanal products like cheese, pickles and jam are perfect for party platters. Delight your friends and family by letting them choose their own delicious gift with Farmers Market Gift Coins. 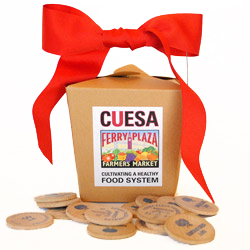 Gift coins work like a gift certificate, have no expiration date, and can be redeemed at any Ferry Plaza Farmers Market stand. They are conveniently pre-packaged in $25 boxes and $10 bags, but they are available in any amount. Market coins also make great corporate gifts. Purchase them at the CUESA Info Booth, or order by emailing us or calling 415.291.3276 x103. Learn more. 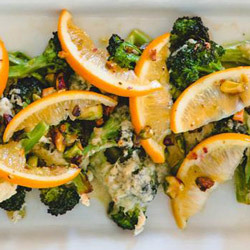 Celebrate the winter holidays with these seasonally inspired recipes from our farmers and chefs. 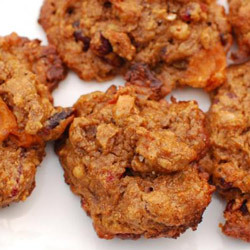 Explore more winter recipes or browse our holiday-inspired Pinterest board. The market is easily accessible by public transit and bike. If you’re driving, be sure to take advantage of our convenient validated parking options (download the PDF). Use our Veggie Valet, a free service that allows you to drop off your farmers market purchases and either continue shopping or grab your car for curbside pickup. The Veggie Valet is open until 1 pm. Check in at the Info Booth.